Called the “Gray Torpedo” by its neighbors, this vertical house lacked architectural character. What it lacked in character, however, it more than made up for in location. 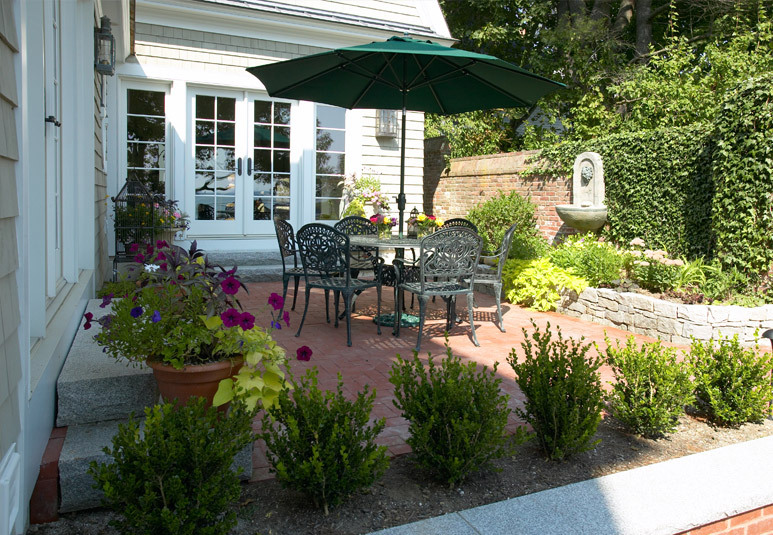 Sited seventy-five feet from the harbor’s edge, it offered breathtaking views but needed a major renovation. The home was originally built in the early 1900’s and then rebuilt in the 1980’s in a post and beam style with heavy timbers and a general lack of interior or exterior detail. The new owner’s wanted to create a more coastal-looking house with every room taking advantage of the views. 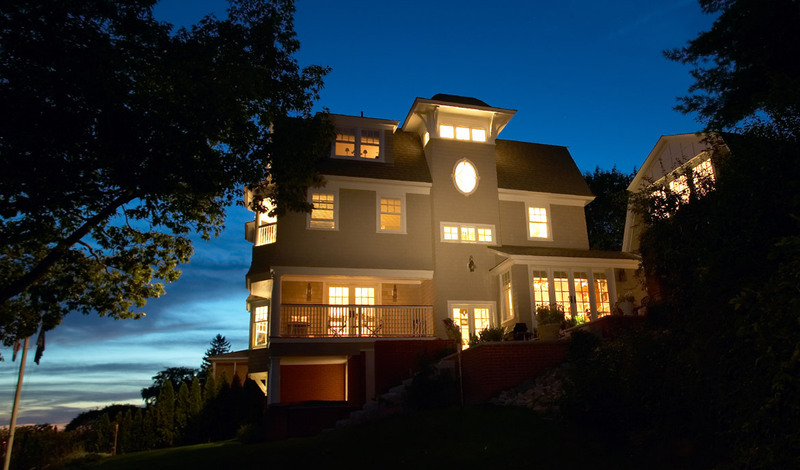 By Maine law, they were required to stay within the original footprint of the house. The law prohibited new buildings within 75 feet of the average high tide and their entire house was within this mark! The solution was to significantly rework the home’s floor plan without adding new construction. A former storage room off the garage became a family room, the kitchen was oriented towards the water views and a new guest bath was created off the entryway. 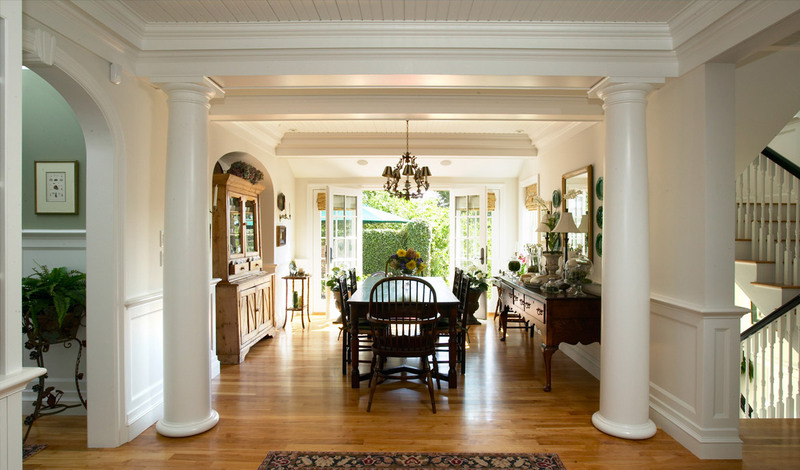 The architectural character of the house was considerably improved with the addition of classical design elements such as Tuscan columns, coffered ceilings and multi-layered crown mouldings. 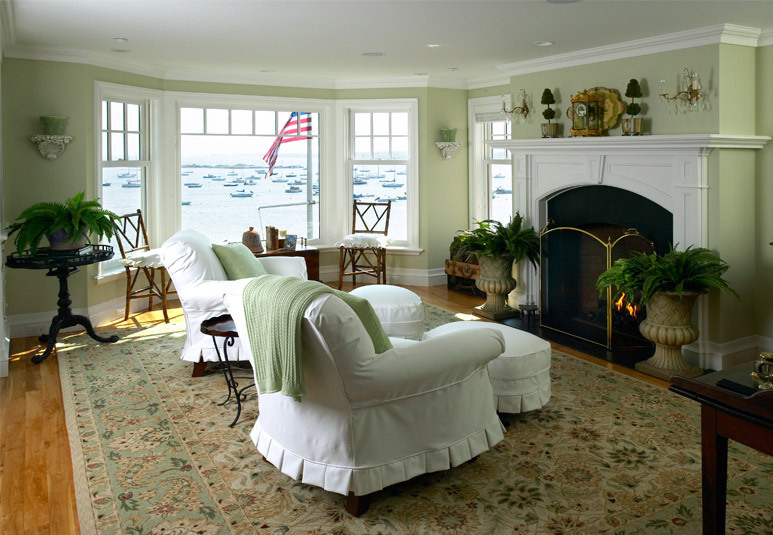 Interior walls were removed to allow for an open floor plan which provided for the constant views to the water requested by the homeowners. Coffered ceilings with bead-board were used throughout the main level of the house to unify the spaces. Originally, the home lacked a formal entry so a barrel-vaulted front porch was added, offering an elegant entry from the brick courtyard. Inside, all the dark timbers and casement windows were eliminated in order to create a light, airy feel. White became the predominant color which provided a fitting backdrop for the water views and the owners extraordinary collections of eclectic furnishings, porcelains and accessories.